Belfast Film Festival has announced Doc Fest Ireland, a new industry focussed, all Ireland International Documentary Festival. Based in Belfast, the inaugural festival will run June 12th-16th, 2019. Doc Fest Ireland aims to celebrate Irish documentary filmmaking and provides a platform for both national and international industries. It will serve as a hub for cross-border collaboration, international co-productions and sales and distribution through its full day one-to-one pitching forum, Doc Market. The festival will hosts industry events including talks, pitching sessions, masterclasses, a new talent focus & funding information sessions. The event will also feature keynote speakers who are experts in the industry from Ireland and beyond. Doc Fest Ireland strides to be a showcase for immersive technology documentary through Belfast Film Festival’s partnership with Queens University Belfast and the VR/AR suite at SARC. The festival is currently accepting applications for its first annual Doc Market, with submissions open until March 30th. Doc Market is an opportunity for filmmakers to meet with top decision makers including international funders, broadcasters, distributors and exhibitors. It offers a unique way to pitch your project through one to one meetings between pitchers and decision makers, for creative and financial discussions. Projects can range from feature documentaries, television, series or specialised factual genres and formats. The Doc Market will be a hub for funding, sales and distribution of documentaries in Ireland and globally, and an incubator for nurturing domestic talent so that our industry can continue to thrive in the future. Doc Market is open to all documentary makers from any country. Submissions must be made through a production company. At least one film, TV or digital broadcast credit is essential. We will only accept one project submission per company. Your project can be at any stage of development, production, or post-production. Projects do not need to have financing already in place but must have a finance plan. We will expect all submissions to submit a 2-3 minute teaser/trailer/excerpt. Your projects must have an international appeal. Projects should be 50 mins + and may take any form or specialist focus, e.g. feature documentaries, television, series or specialised genres and formats. There is a fee of £20 to submit your pitch to Doc Market. As this is a competitive process this does not mean you are guaranteed a slot. 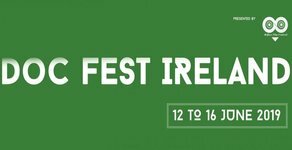 Doc Fest Ireland will take place June 12th – 16th, 2019 in Belfast.